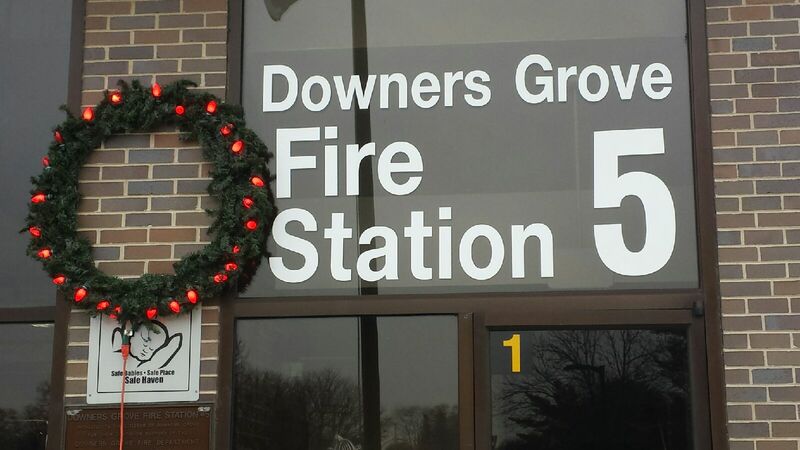 Wreaths with red bulbs are displayed at each of the Village's fire stations through January 1, 2018. If a holiday related fire occurs during this time, one of the red lights in each station's wreath will be changed to white. Make sure you have a working smoke alarm on each level of the home and in each bedroom or sleeping area. Electrical cords should not be run under rugs or past doorways. Use power strips in place of extension cords. Never leave candles unattended. If you are having a party, candles should only be lit in the attended rooms. Consider using the new flameless candles. They provide the same ambience, with none of the dangers. Fireplaces should be cleaned annually, if used on a regular basis. Do not burn any foreign objects in fireplaces. A fireplace screen should always be in use. Turkey deep fryers are for outdoor use only. Never leave the fryer unattended, even for a few minutes. Do not allow trees to block any exit paths in the home. Live trees should be kept at least three feet from any heat source. Check the water level daily on live trees. All live trees and boughs should be disposed of immediately after the holiday, before they dry out. No more than three strings of lights should be connected together for use on trees. Make sure outdoor decorations and lights are approved for outdoor use.